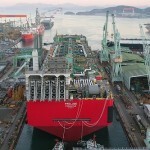 The company said the LNG carrier would be fitted with a Hi-ALS self-developed air lubrication system on the bottom of the hull to improve fuel consumption. 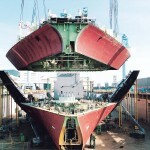 According to Hyundai Heavy, the air lubrication system is expected to cut fuel consumption by 8 percent. 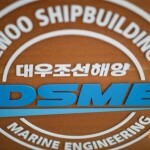 With the latest contract with a Greek shipping company, the shipbuilder has secured five orders in two weeks, worth a total 700 billion won ($616 million). 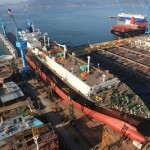 Earlier this month, Hyundai Heavy won orders to build an LNG carrier from a Japanese shipping company, followed by a contract to build an LPG carrier from a Korean shipping company and a contract to build two oil tankers for a Greek company. 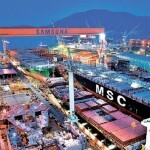 According to British shipbuilding and marine industry tracker Clarksons Research, the volume of new orders of compensated gross tonnage (CGT) rose 14 percent to 32.2 million in 2018 from the previous year. 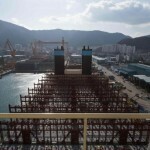 This trend is expected to continue, with the volume of new orders expected to reach 44.6 million CGT in 2023. 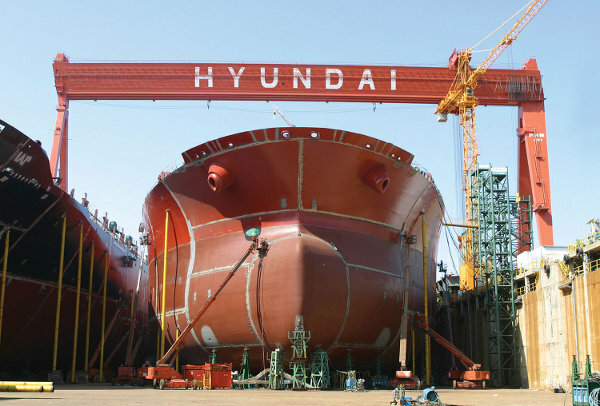 “Demand for LNG vessels is rising steadily as environmental regulations are forcing shipping companies to replace old ships with new ones,” a Hyundai Heavy official said.